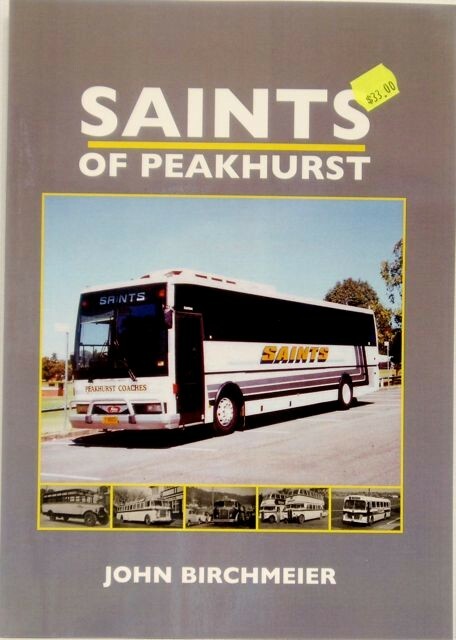 A history of the museum from earliest beginnings in 1986, and photos and history of every exhibit, especially operational and display vehicles. Fascinating detail of the recovery and restoration of some of our rarest items. 48 pages all in colour except for historic B&W. Informative text plus detailed captions for every photo. Fun Children's Transport Town work book. 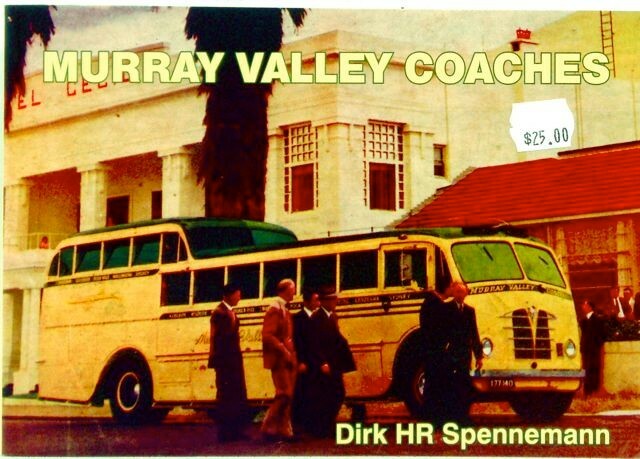 A set of cardboard push-out / build up models of buses cars trams and trains, even the Manly Ferry. Along with whole A3 sheets to provide street scenes and railway tracks. Easy to fold up with neat self-locking tabs . 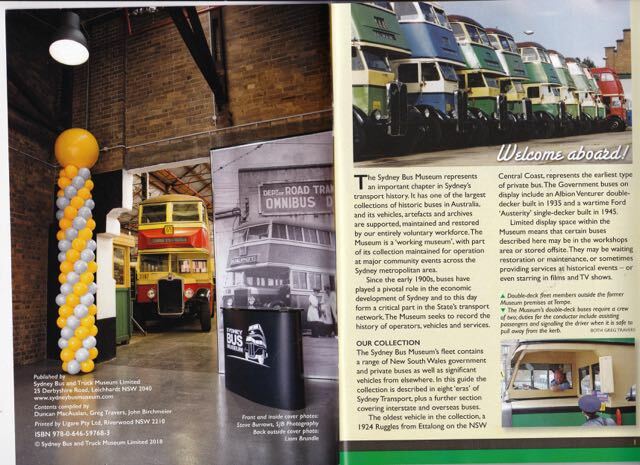 Elegantly designed by Transit Graphics whose business is graphic art work for the transport industry, so the models are true to original with marvellous detail. approx. 30 pages all in colour. 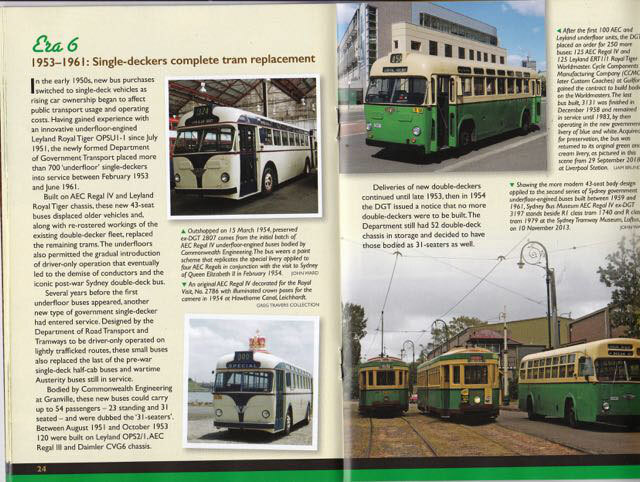 Street scene and rail tracks / station scenes are fold-out double pages A3 size. Mostly to a scale of 1:76 (except human figures) so the models can be used in HO model train layouts. 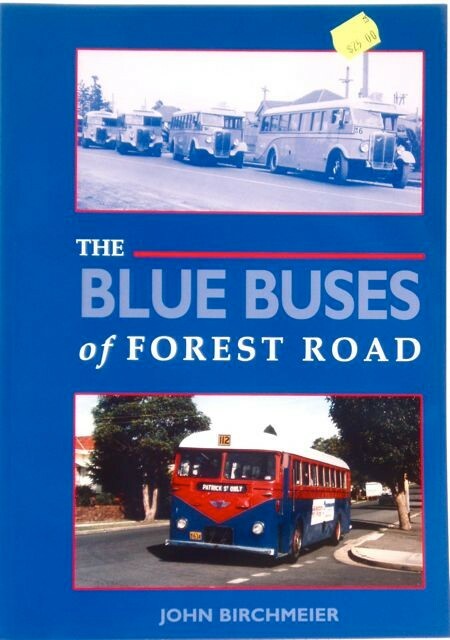 This fine book by noted researcher and author John Birchmeier is a comprehensive account of and tribute to the New South Wales Bus Transport Industry from the early 1900s to today, portrayed through commentary , photographs and story. The culmination of 18 months solid writing and design, research, and collation of over 250 high quality photos. 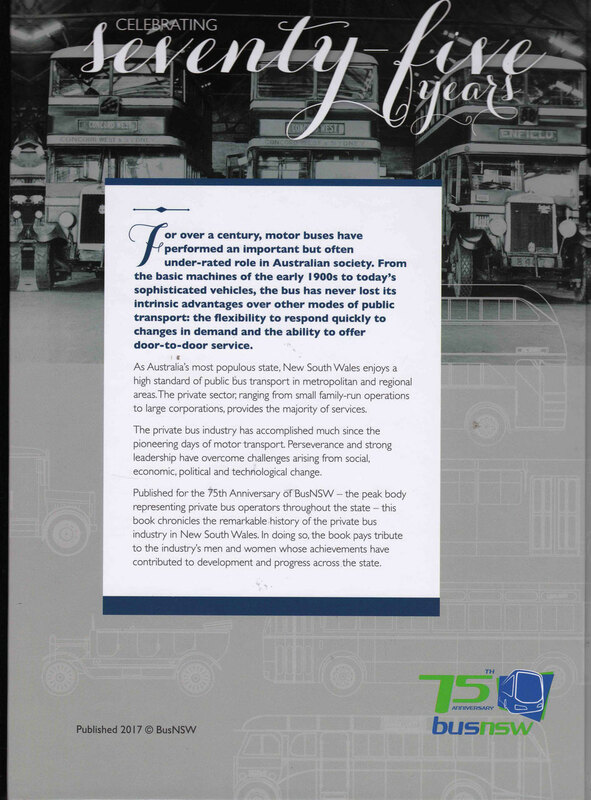 The book was written in connection with BusNSW's 75th Anniversary celebrations – in early 1942 the NSW Omnibus Proprietors' Association (BusNSW's antecedent) came into being, the first statewide organisation for bus operators in NSW. Hard cover 213 pages over 250 photos all colour except where historic B&Ws are used. 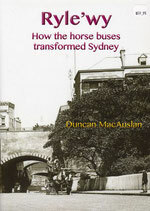 Many very interesting historical photos of Sydney and suburban street scenes. 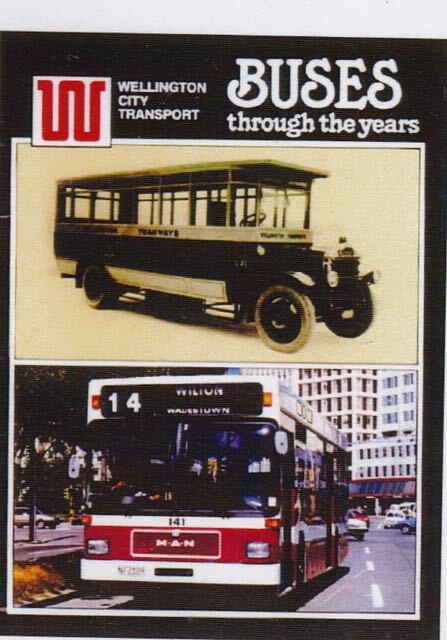 The full story from the very first American-style bus to the latest and largest double deckers, up to the inevitable demise under competition from trams. 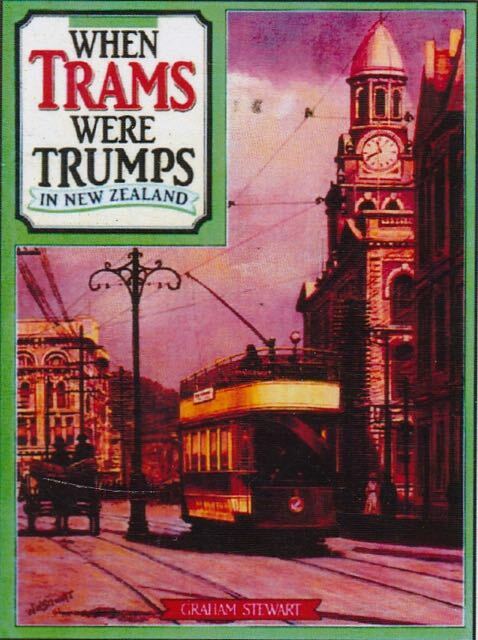 Some photos show steam as well as electric trams in early service. 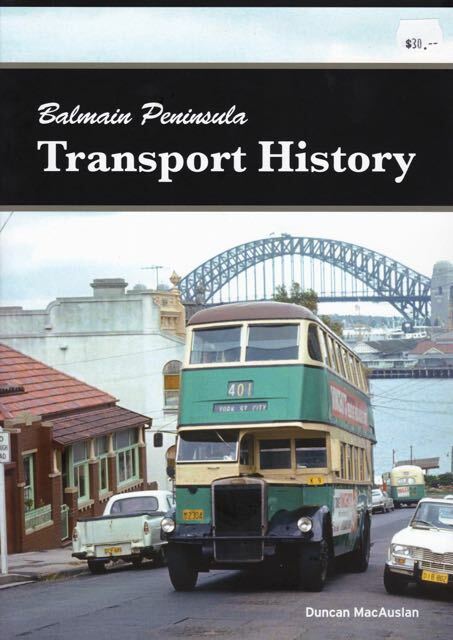 A full study of transport in and to Balmain from the city and nearby suburbs, by ferry, horse bus, tram, private bus and NSW Government Buses. Many historic photos mostly B&W but the book is printed in colour throughout, so that highlights appear clearly. 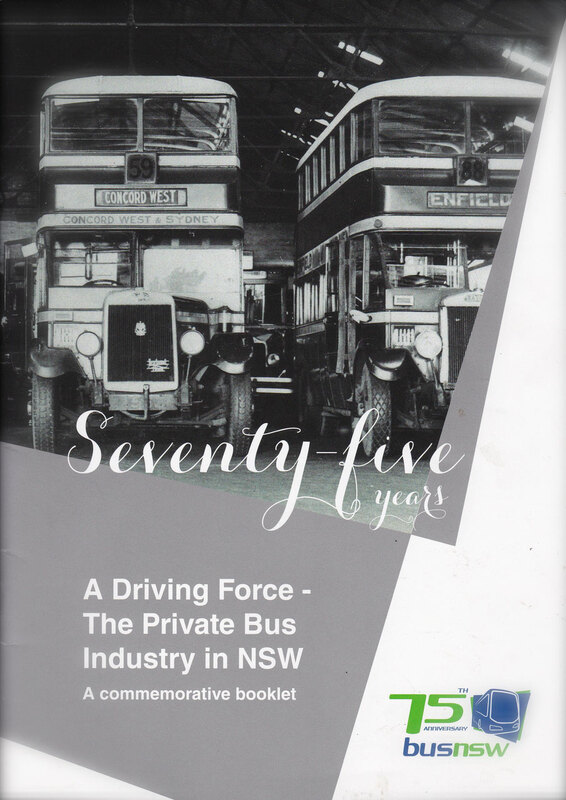 A Commemorative booklet produced by the Bus and Coach Association (now Busnsw) to celebrate its 75 years since incorporation as the NSW Bus Proprietors Association, in 1942. 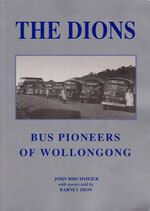 28 pages, all colour except for historic B&W photos, of which there are many, dating from as far back as the early 1900s. 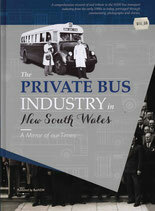 A fascinating pictorial and historical record of private bus operation in New South Wales. 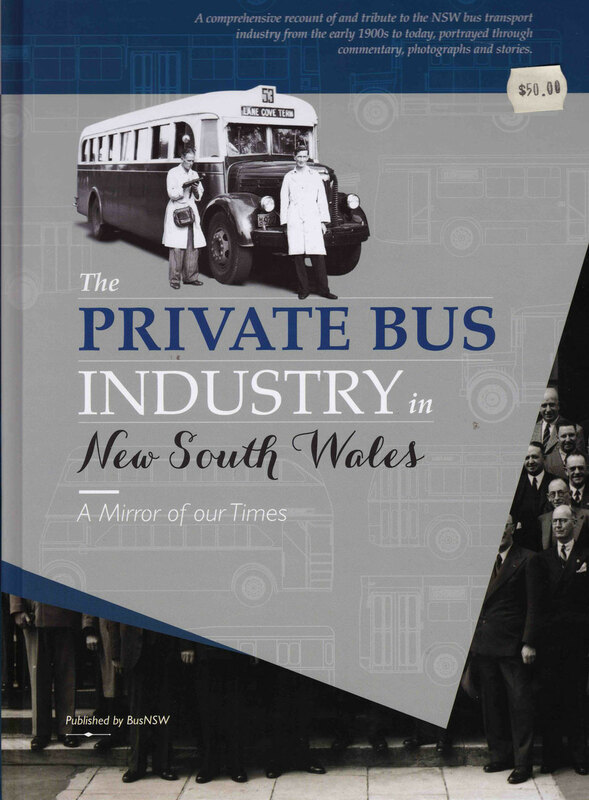 There are references to the many hardships suffered by private owners when the NSW Government stepped in in 1932 and nationalised many companies. Over 100 photos making this a very readable book, of historical value. Great value! 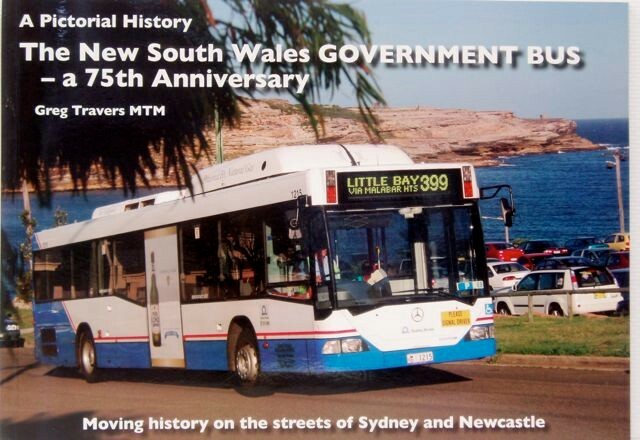 COMMEMORATING 75 YEARS OF BUS OPERATION BY NSW GOV'T. 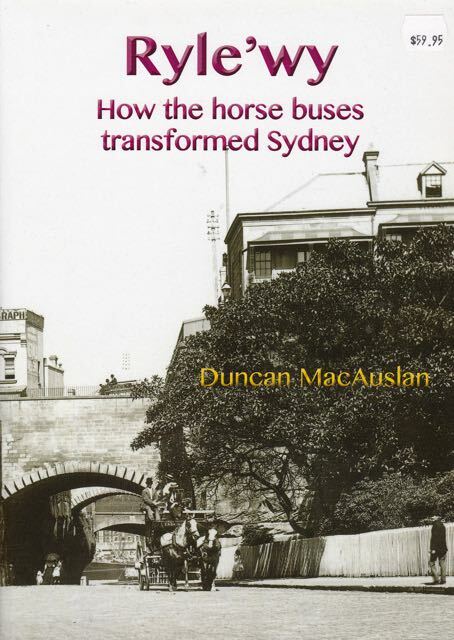 From the early days of the bus service from hot lunches at the bus depot to accidents throughout the city including a double-decker bus which crashed into Circular Quay the photography is truly well worth a look for both Adults and Children alike. 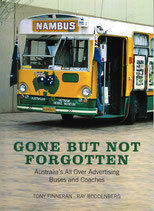 Images from every city in Australia of buses in all-over advertising livery. All colour A5 format. Soft covers. Over 100 pages with 2 photos per page. 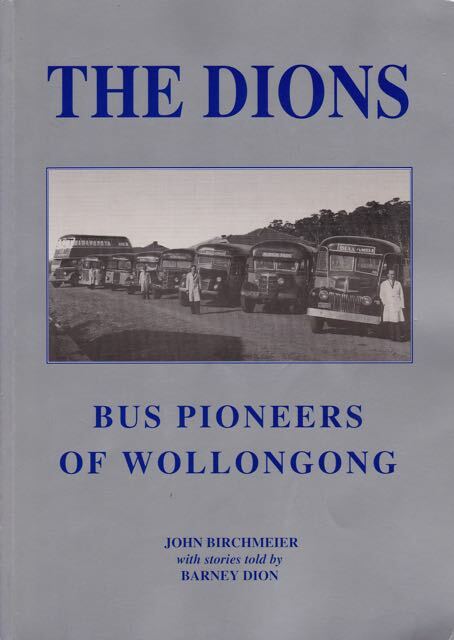 NEW from respected author John Birchmeier, writer of Saints of Peakhurst, The Blue Buses, Keira Kembla and Around the Lake, The Dions. 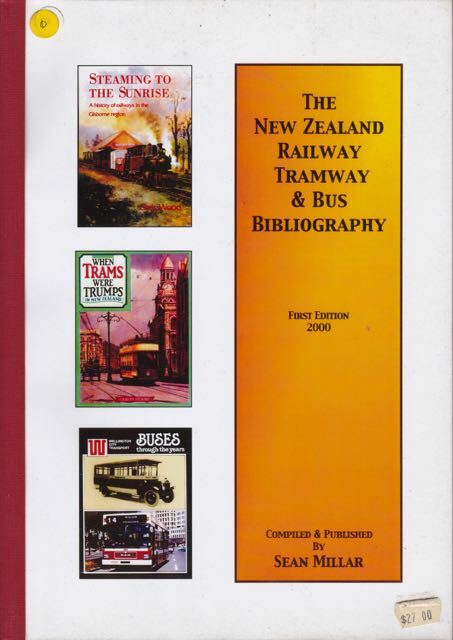 The book is beautifully designed and produced: a worthy addition to any transport historian's library. Martin's has operated bus services for 85 years in the Albury / Lavington area and ventured into coach operation to very high standards. 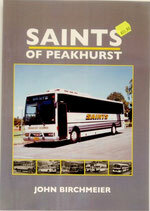 Route maps, historic timetables and fare charts, vehicle photographs from early 1900s onward. All colour except historic B&W photos. 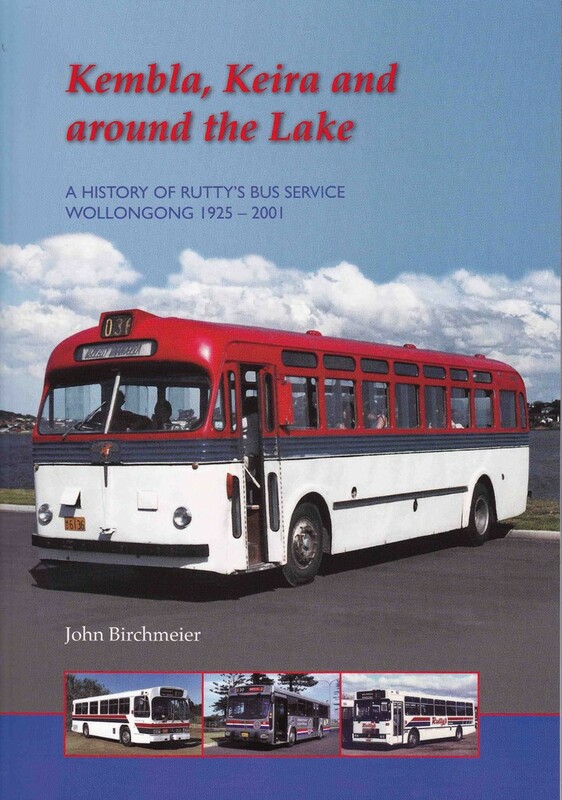 Highly respected author John Birchmeier has just produced this deeply-researched, prolifically illustrated history of the famous Wollongong bus operator, from 1925 to 2001. Absorbing stories of the heroic efforts of the bus operators on narrow bush tracks, poorly made and maintained roads, and occasional flooding. Colour cover with 14 pages of colour photos and a wide selection of B&W photos, as well as many beautifully drawn maps, timetables, destination rolls in colour. Beautifully produced from this renowned author. Meticulous research hundreds of photos. 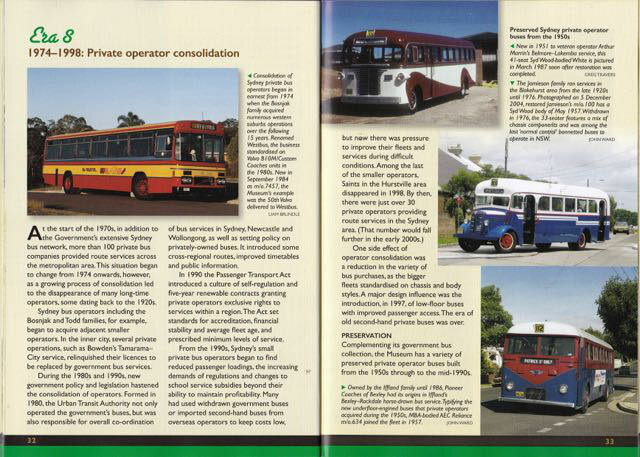 A pictorial view of buses operated by Government authorities in Australia. 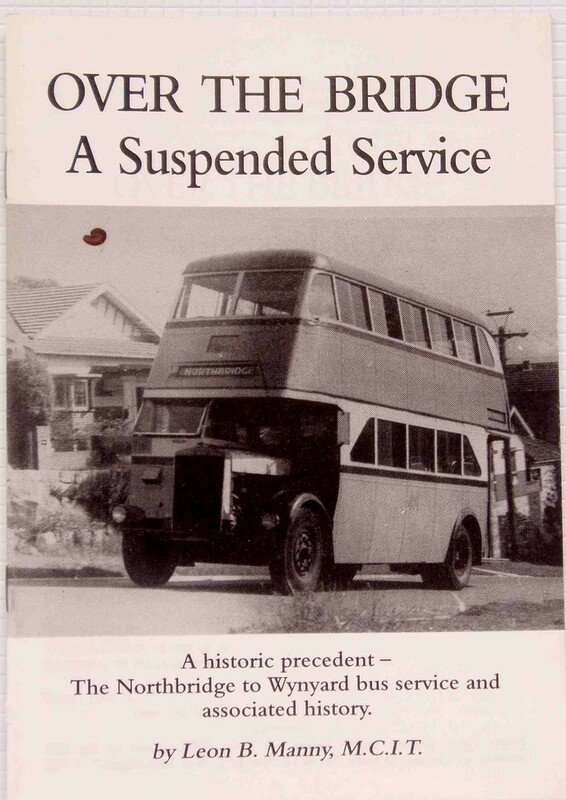 (note: not to be confused with "The Government Bus" by the same author). 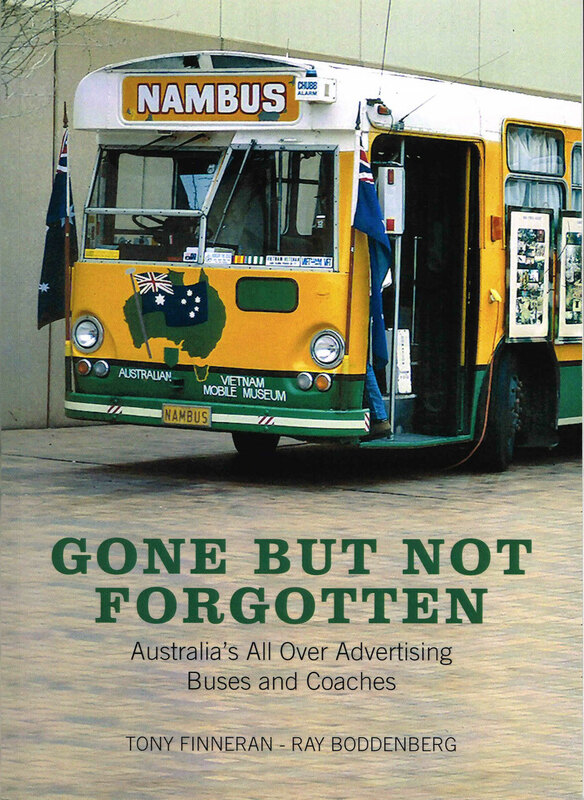 NOTE: this book is not about foreign buses: every photo was taken in Australia or NZ. Elegantly produced, with text in English and Cantonese. English language text is modern, fluently expressed. 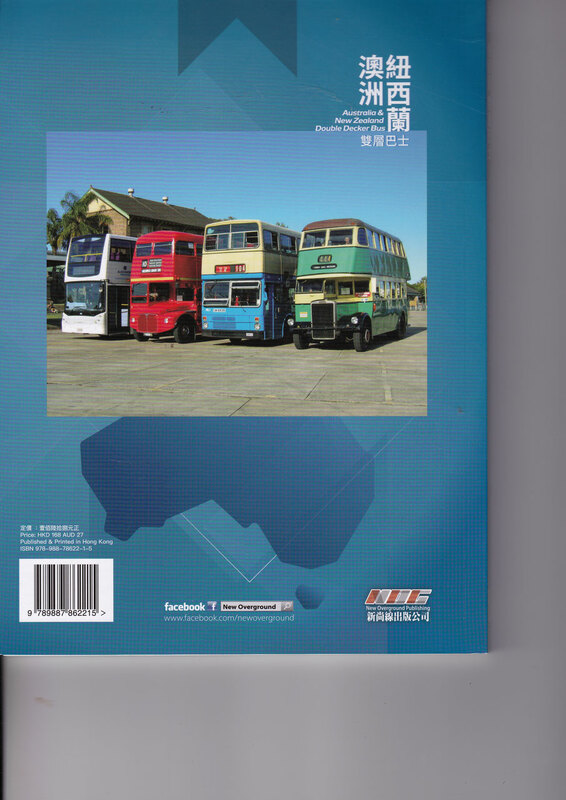 Illustrated are new double deckers as supplied to Australian and NZ operators, and many (at least half) are of historic buses from Museums, and some as found in out of the way places. 90% of photos never before seen elsewhere. 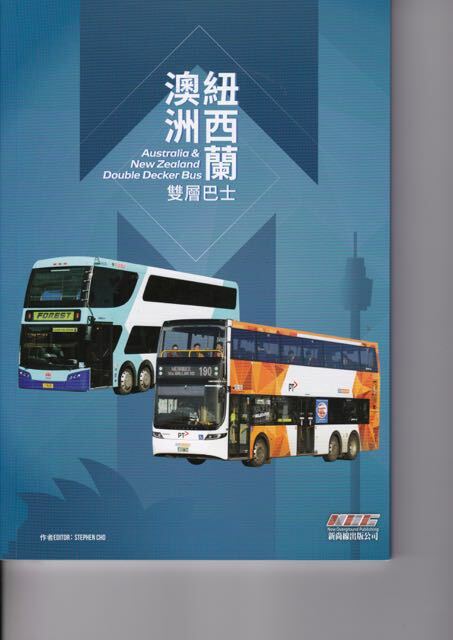 Something of a first: a book with appeal to both Chinese and English-speaking readers. 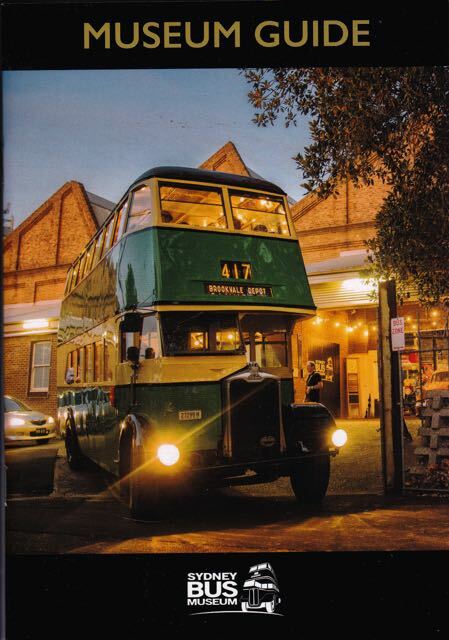 Sydney's North Shore buses from the 1930s to the 1970s. A very valuable record of DGT operations. Listings cover the years from 1871 up to year 2000. 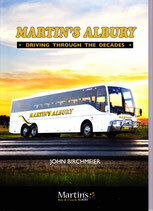 Guidance is given as to how to find and purchase the book listed.